Origin Antilles in the Caribbean, Central America and in northern South America. 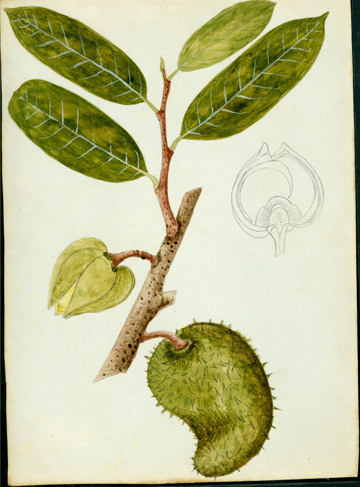 Soursop (Annona muricata) is actually a member of unique plant family, Annonaceae, whose members include the cherimoya, custard apple and sugar apple or pinha. 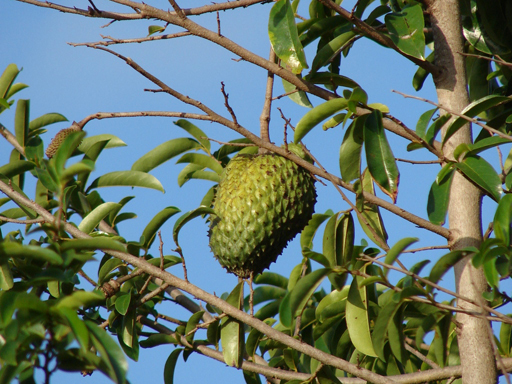 The genus Annona belongs to the Annonaceae family, which consists of more than 119 genera. There are over 2000 species of Annona, of which Annona muricata is one of the most cultivated. 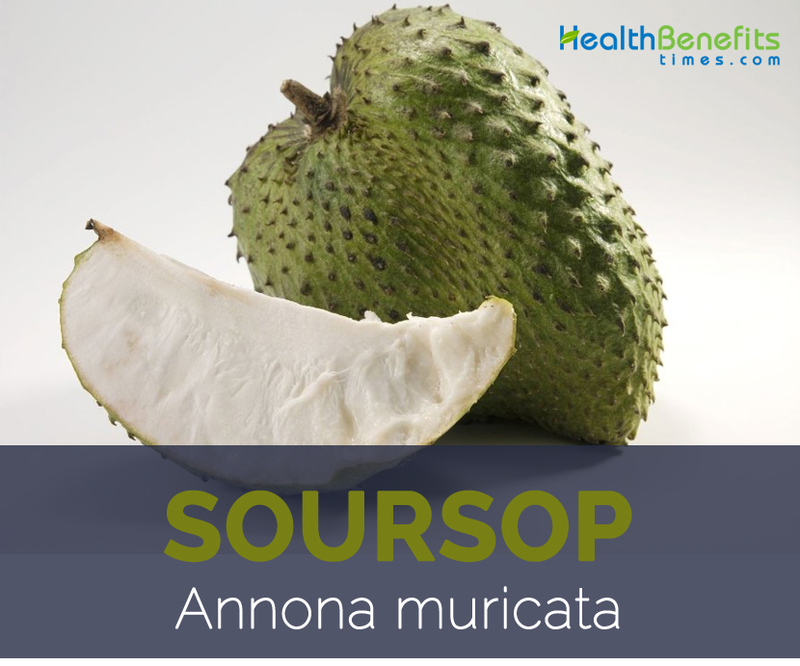 Annona muricata, also known by the common name of soursop, is an ovate conical and strange looking fruit, with irregular shape; the outside color is dark green when unripe, and light green when ripe. The fruit rind has many short, soft, pointed carpel protuberances which look like thorns; fruits can weigh from 0.4 to 10 kg. South America and the Antilles are considered the areas of origin of this species, and nowadays soursop can be found in tropical regions. Soursop is known by a plethora of different names depending on its country of cultivation. The name, soursop is actually derived from the Dutch zuurzak which means “sour sack.” In most tropical regions of the world, where the plant grows, it is often referred as a miracle tree. It is also known as Brazilian Pawpaw, Guanabana, Prickly Custard Apple, Soursop, Corossol and Sugar Apple and is a prickly, green tropical fruit that can weigh up to 15 pounds. Many parts of the plant can be consumed but seeds and bark are considered toxic and contain poisonous alkaloids like anonaine, muricine, and hydrocyanic acid. Soursop is a small, much branched, perennial tree, 3–8 m tall and is found growing in humid tropical and subtropical lowlands with moderate humidity, plenty of sun and shelter from strong winds. Normally it prefers deep, rich, well-drained, semi-dry soil, but the soursop tree can be and is commonly grown in acid and sandy soil, and in the porous, oolitic limestone of South Florida and the Bahama Islands. Apart from that it has shallow root system with terete, reddish-brown glabrous branchlets. Soursop plant have malodorous leaves, normally evergreen and are alternate, smooth, glossy, dark green on the upper surface, lighter beneath; oblong, elliptic or narrow obovate, pointed at both ends, 2 1/2 to 8 in (6.25-20 cm) long and 1 to 2 1/2 in (2.5-6.25 cm) wide and have pungent odor when crushed. Flowers are borne singly, may emerge anywhere on the trunk, branches or twigs. They are short stalked, 1 1/2 to 2 in (4 5 cm) long, plump, and triangular-conical, the 3 fleshy, somewhat spreading, outer petals yellow-green, the 3 close-set inner petals pale-yellow. Also known as graviola, soursop is more or less oval or heart-shaped fruit, sometimes irregular, lopsided or curved, due to improper carper development or insect injury and is normally found growing in tropical regions. The size ranges from 4 to 12 in (10-30 cm) long and up to 6 in (15 cm) in width and the weight may be up to 10 or 15 lbs (4.5-6.8 kg). The fruit is compound and is covered with a reticulated, leathery-appearing but tender, inedible, bitter skin from which protrude few or many stubby, or more elongated and curved, soft, pliable “spines”. Tips normally break off easily as soon as the fruit is fully ripe. The skin is dark-green in the immature fruit, becoming slightly yellowish-green before the mature fruit is soft to the touch. Its inner surface is cream-colored and granular and separates easily from the mass of snow-white, fibrous, juicy segments—much like flakes of raw fish—surrounding the central, soft-pithy core. In aroma, the pulp is somewhat pineapple-like, but its musky, sub acid to acid flavor is unique. Most of the closely-packed segments are seedless. 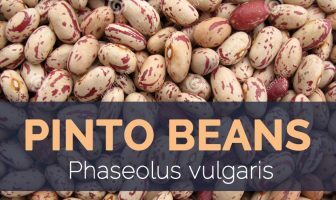 In each fertile segment there is a single oval, smooth, hard, black seed, l/2 to 3/4 in (1.25-2 cm) long; and a large fruit may contain from a few dozen to 200 or more seeds. Soursop is considered to have originated from the lowlands of Central America. It was first described by Spanish historian Gonzalo Fernández de Oviedo y Valdés during 1526 and was spread around the world by the Spanish explorers. Fruit may have come to Hawai‘i with Don Francisco de Paula Marin in the late 1700s with its close relative cherimoya (Annona cherimoya). The fruit was not reported in Florida until 1879. The fruit is now commercially cultivated throughout the tropical Americas and is found in small family orchards in Southeast Asia, Philippines, India, Hawai‘i, and other Pacific islands. Bioassay-guided isolation was used to identify the bioactive compounds. This procedure allowed the isolation of the main alkaloids, which were of the isoquinoline type. Benzylisoquinoline alkaloids have also been identiﬁed in the A. muricata pulp, such as reticuline, which was the major alkaloid found, and N methylcoclaurine. These compounds are toxic to SH SY5Y neuroblastoma cells and inhibitors of mitochondrial respiratory complex I. The alkaloid nornuciferine, isolated from A. muricata and other members of the Annonaceae family, showed leish manicidal and cytotoxic activity. A study showed that isoquinoline alkaloids found in the fruit have antidepressive effects. The alkaloids compounds have been recognized as having free radical scavenging ability and being antimicrobial, antiviral, and anti-inﬂammatory agents. These activities could be related to the anthelmintic and anticancer properties attributed to soursop. Acetogenins are lyophilic compounds found in the Annonaceae family consisting of linear 32 or 34 carbon chains containing some oxygenate functional groups, such as hydroxyls, ketones, epoxides or tetrahydrofurans, that often end with a lactone. These compounds are considered the main bioactive elements of this fruit, and are responsible for the bioactivities of the species. Acetogenins have been identiﬁed in soursop pulp mainly with open column chromatographic methods and HPLC. Anno nacin is considered the major acetogenin in A. muricata. The isolation of mono-epoxy unsaturated acetogenins and epomurinins from the pulp suggest that this compound might be the precursor of several acetogenins, because their biosynthesis would take place in the pulp. Phenols, carotenoids, and vitamins are considered antioxidants with health protective beneﬁts. These compounds have been identiﬁed in an edible portion of A. muricata, even though in proportionately lower amounts than in grapefruit or papaya, and the consumption of A. muricata contributes to the daily intake recommended by the FDA. Major compounds present in A. muricata are cinnamic acid derivatives and p-coumaric acid, the content of which have not yet been measured. The ﬂavonoids contained in A. muricata fruit are apigenin, luteolin, and myricetin. Apart from their Sweet, acidic taste that resembles a mix of strawberry and pineapple, Soursop is a good source of nutrients, vitamins and minerals. Consuming 225 gram of soursop offers 1.4 mg of Manganese, 46.4 mg of Vitamin C, 37.89 g of Carbohydrate, 0.193 mg of Copper,7.4 g of Total dietary Fiber, 1.35 mg of Iron and 626 mg of Potassium. Moreover many Amino acids 0.025 g of Tryptophan, 0.135 g of Lysine and 0.016 g of Methionine are also found in 225 gram of Soursop. The anti-parasitic nature of soursop has made it a popular treatment in many of the rural areas of Latin America and South America, mainly in areas where parasitic infections are more common. By brewing a tea from the leaves of the fruit, you are able to cleanse your gut and ensure that your gastrointestinal system is running effortlessly. 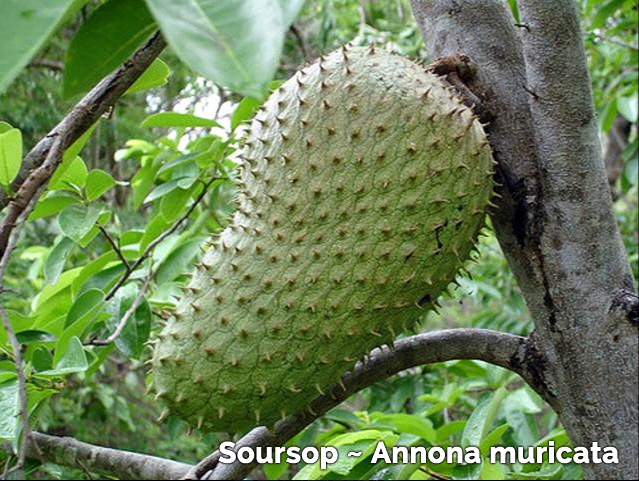 Soursop consists of high content of fructose, a simple sugar (monosachharide). Being a good natural source of carbohydrates, it helps to keep you fresh and drain energy. This fruit also increases endurance because of its high vitamin C content. Soursop is also considered effective in curing hemorrhoid. For this purpose, squeeze the fruit to take out at least one cup water and drink it twice a day in the morning and afternoon for relief. In case of infant diarrhea, 2-3 tablespoons of this water should be given to infants. Soursop fruit is actually a best source of calcium and phosphorus which are beneficial for strong bones and help to prevent osteoporosis. Regular consumption helps to solve all bone related problems. 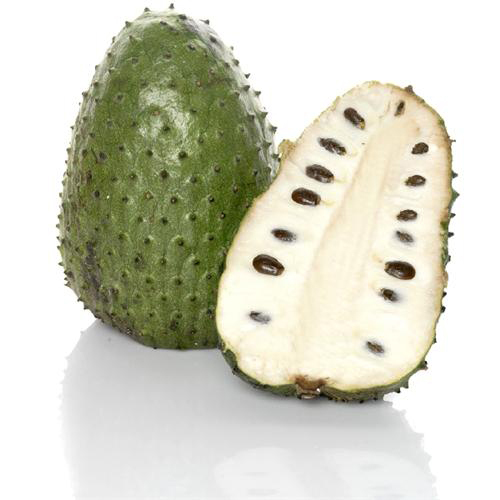 Soursop features great healing qualities. Using fresh leaves on skin eruptions encourages quick healing. Boils are skin problems that occur all over your body causing immense pain. Soursop leaves are a natural remedy for treating them. Put some fresh soursop leaves on the affected areas and it helps to heal them rapidly. Soursop consists of good amount of moisture content due to which it is effective in treating and preventing urinary tract infections (UTI), urethritis and hematuria. The juice of the fruit can be taken orally in case of urethritis, hematuria, and liver ailments. Decoction made from young shoots or leaves is actually a natural remedy for gall bladder trouble as well as coughs, catarrh, dysentery, fever, and indigestion. Apart from that soursop flowers can ease catarrh. 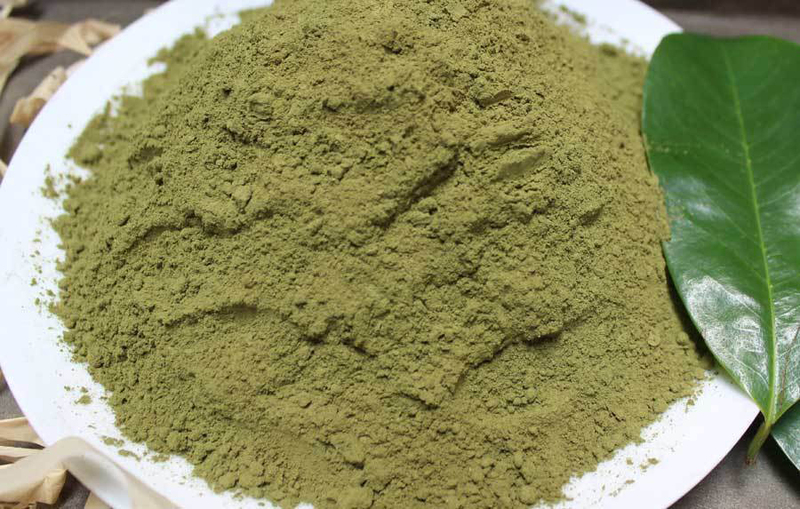 It is also used in the treatment of gallstones, antisembelit, uric acid as well as increases appetite. As stated earlier, soursop is a rich source of vitamin C and ascorbic acid which help to increase the amount of antioxidants. These antioxidants play an important role in fighting the free radicals which are responsible for aging of the skin. By removing free radicals, they considerably reduce the signs of aging like fine lines, wrinkles, and pigmentation. Soursop is also considered beneficial for relieving back pain. Take the help of soursop leaf tea. Make sure the tea is a concentrated one. Drink about ¾ cup of concentrated tea once a day to ensure quick relief. You can also use it as a topical application for easing back pain. In Haiti, Jamaica and West Indies, fruit is used to lower fever and cure stomach problems such as pain, dysentery and gastric ulcers. It is also useful for malaria. In Dominican Republic, it is used to provide relief from asthma symptoms and chest congestion. It is used for kidney disorders in Bolivia. In Philippines, it is used to treat cancer and hypertension, in Uganda it is a diabetic cure. Fruit pulp is consumed fresh when ripe or made into refreshing drinks, beverages, shakes, sherbets, sorbets, yogurt and ice-cream. Bottled and canned soursop beverages are popular in Southeast Asia and are much sought after as health drinks. Pulp is also processed into desserts, sauce, jellies, candies and tarts. It is a common fruit often used for dessert as the only ingredient, or as an agua fresca beverage in Mexico. Ice-cream and fruit bars made of soursop are also very popular. Immature, young fruits and young sprouts are cooked as vegetables in Indonesia and Papua New Guinea and the tender young leaves are similarly used in the latter country. Seeded pulp are torn or cut into bits and added to fruit cups or salads, or chilled and served as dessert with sugar and a little milk or cream. Immature soursop are cooked as vegetables or used in soup in Indonesia. Immature soursop are roasted or fried in northeastern Brazil. Pulp is used for making tarts and jelly, syrup and nectar. All parts of the tree are used in traditional folkloric medicine in numerous cultures for various ailments and complaints. Leaves and seeds of the tree are used by native peoples of various cultures for an amazing variety of ailments, ranging from parasites (the seeds), to high blood pressure and cancer. 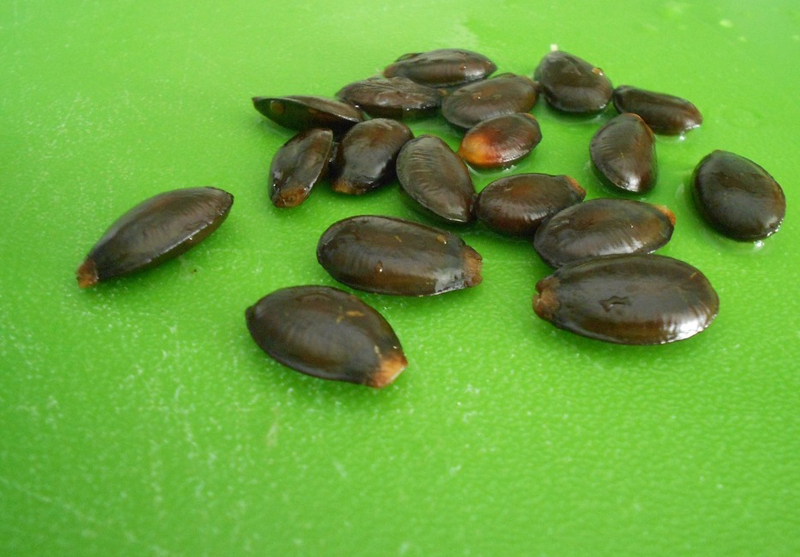 Pulverized seeds and seed oil effective for head lice. Flowers are considered to be antispasmodic as well as pectoral and used to alleviate catarrh. 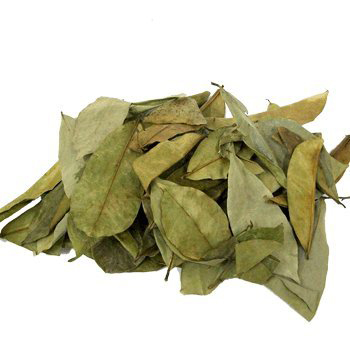 Infusions of leaves are used as sudorific, antispasmodic and emetic. It is supposed that laying the leaves of the soursop on a bed below a sleeping person with a fever will break the fever by the next morning in Caribbean. Boiling the leaves and drinking are considered beneficial to induce sleep. Decoctions of leaves are used as compresses for inflammation and swollen feet and similar decoction used for treating head lice and bedbugs. Poultice of mashed leaves and sap of young leaves are used for eczema and skin eruptions. Ripe fruit is reported antiscorbutic and is also used as an anthelmintic. Pulp of soursop is used as poultice to draw out chiggers; and the juice of ripe fruit used as diuretic and for hematuria and urethritis. Unripe and dried fruit, also astringent, is used in diarrhea, among the Amerindians. Unripe fruit and seeds are astringent and used for dysentery. Tea, fruit, and juice are used therapeutically to treat illness ranging from stomach ailments to worms. Bark is used in powdered form for diarrhea and dysentery and is used by the Chinese and Malays in Malaysia as tonic. Juice of the ripe fruit is said to be diuretic and a remedy for haematuria and urethritis. The juice from the Soursop is often used as a diuretic. People who reside within the South America, Central America and Mexico regions use the juice for scurvy and dysentery. Bark leaves and root portions of the tree are used as a sedative/tranquilizer and are also used to treat symptoms related to diabetes. Pulverized seeds are used as insecticide. In India and Sri Lanka, the plant is also used as rootstock for Annona squamosa. Fruit is used as bait in fish traps. Bark has been used in tanning and the wood is a potential source of paper pulp. 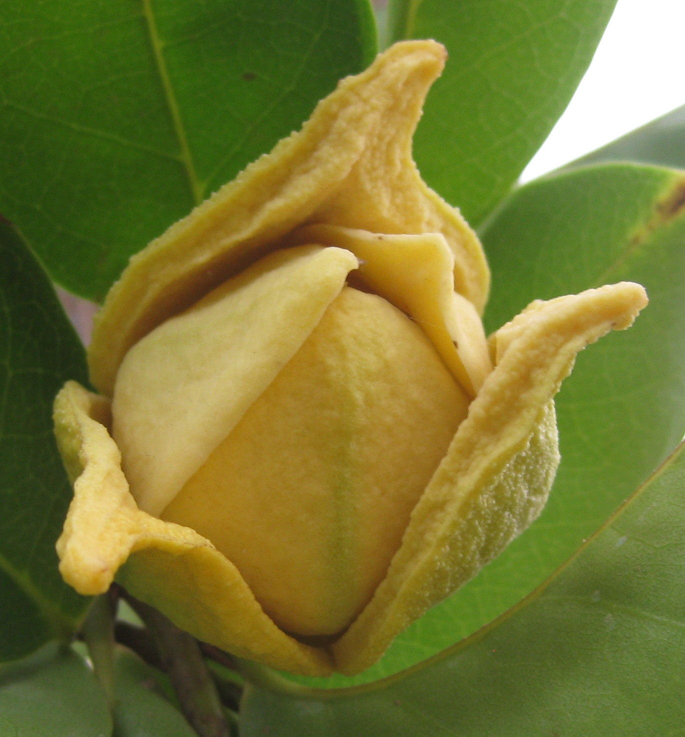 In Puerto Rico, the great deal of forms and types of seedling soursops are approximately split into 3 common categories: sweet, subacid, as well as acid; then subdivided as spherical, heart-shaped, oblong or even angular; and lastly classed in accordance with flesh uniformity which differs from soft and also juicy to firm and also relatively dry. The University of Puerto Rico’s Agricultural Experiment Station at one time cataloged 14 various kinds of soursops within an area in between Aibonito and Coamo. In El Salvador, 2 kinds of soursops are recognized: guanaba azucaron (sweet) consumed raw and useful for drinks; as well as guanaba acida (very sour), utilized just for drinks. Within the Dominican Republic, sweet soursop is most popular. The word “sweet” is utilized in the comparable sense to point reduced level of acidity. A moderate-sized, yellow-green soursop also known as guanabana sin fibre has become vegetatively propagated in the Agricultural Experiment Station at Santiago de las Vegas, Cuba. The foliage of the superior clone is clearly bluish-green. 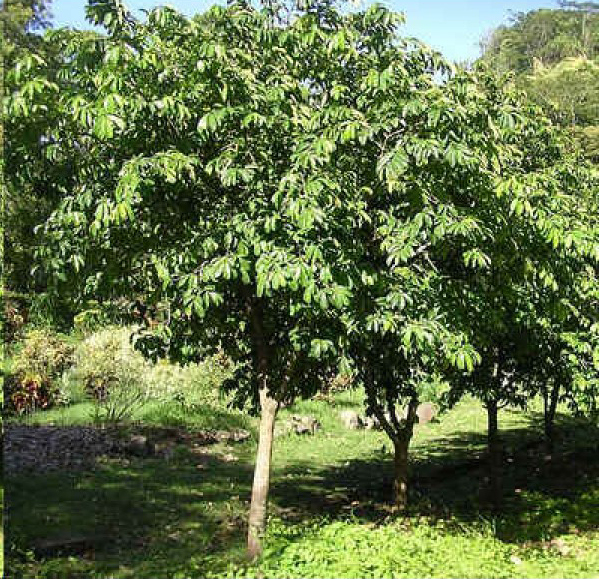 In 1920, Dr. Wilson Popenoe delivered to the United States Department of Agriculture, from Costa Rica, budwood of the soursop he named ‘Bennett’ honoring G.S. Bennett, Agricultural Superintendent of the Costa Rican Division of the United Fruit Company. He described the fruit as large and also handsome and he announced the tree to be the most efficient he previously had seen. The seeds of the Soursop might be extremely harmful; several reports declare that consuming Soursop seeds may cause Parksonism as well as sleep issues. 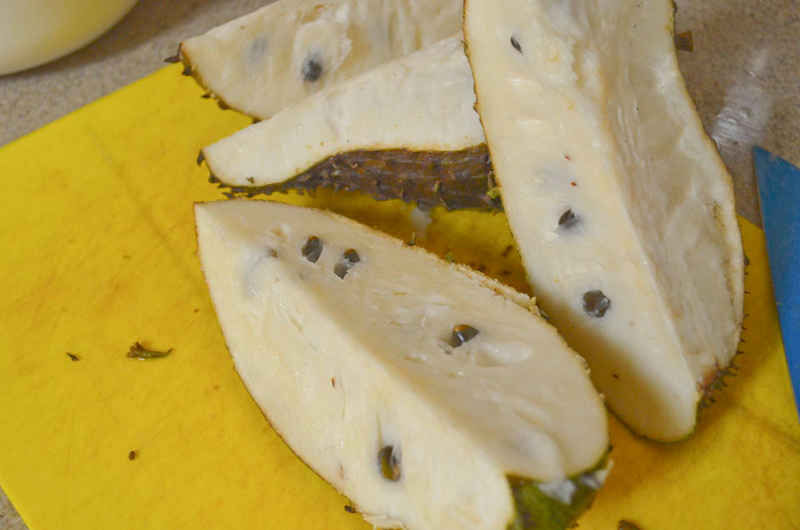 In accordance with an article published in 2008 in Nature Clinical Practice Neurology, scientists thought that the improve of Parkonsonism in the West Indies might be brought on by individuals there consuming larger amount of Soursop seeds. Medical experts warn pregnant and lactating women against the use of graviola pills, graviola capsules and fruit. Select dark green fruits with plenty of fleshy spines on the surface. Prevent soursops with bruises or blemishes on the surface. Keep unripe soursops at room temperature. As soon as ripe (soft), store within the refrigerator for approximately 2 days. An effective method to consume and also feel the advantages of soursop fruit is simply by smoothing the fruits which have been peeled, seeded as well as filtered with the help of just a little water. Screening results may then be directly ingested by the inclusion of just a little honey to ease just a little sour. The addition of sugar and honey just isn’t suggested in individuals along with diabetes, as a result must try to like the original flavor of soursop fruit. For those who have stomach upset, suggested to fill the stomach beforehand to avoid the illness. Annona muricata f. mirabilis R. E. Fr. Annona muricata var. borinquensis Morales ex Urb. Calories 148 Kcal. Calories from Fat 6.12 Kcal.